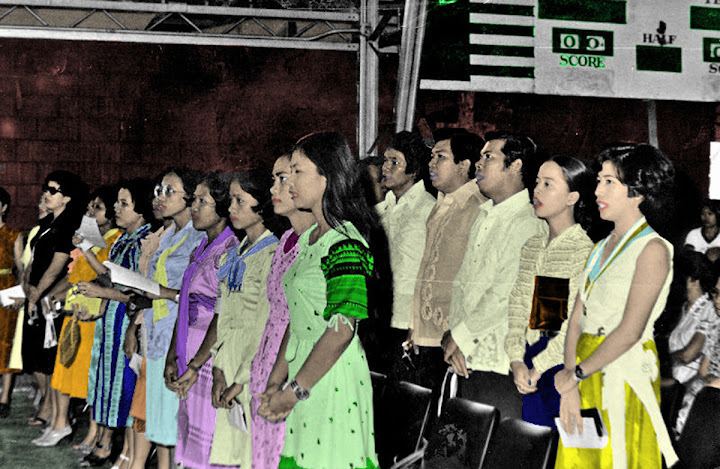 The picture above looks very much like it was taken during the commencement exercises at the Br. Henry Virgil Gymnasium. 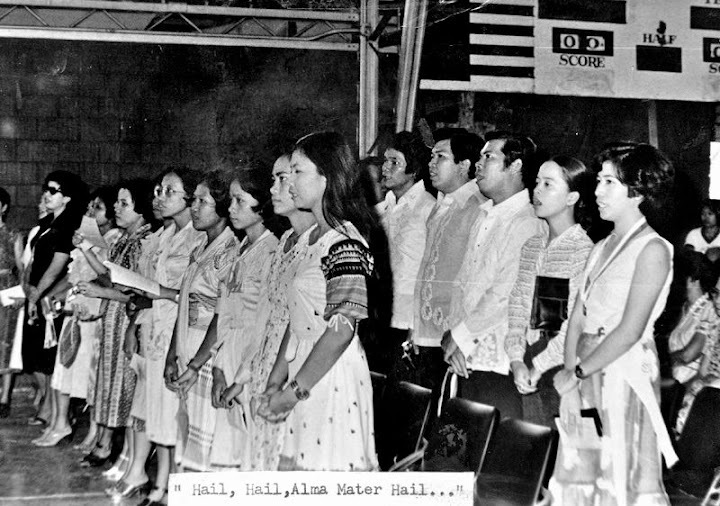 I see the youngish Mrs. Cora Bagamaspad, Mrs. Editha Raz, Mrs. Millette Sarmiento (nee Cadano) and Ms. Norma Blanco in the picture along with my former grade school teacher Ms. Cleofe Babasa in the picture, so this was likely in the late seventies or early eighties, just before I returned to teach in 1982.